Volatility continues to decrease: the Volatility Index (VIX) has reached levels not seen since 2007. Somehow, investors see this as a good thing. The VIX is established daily by the Chicago Board Options Exchange (CBOE). This index is calculated by averaging volatilities on options on the S&P 500. But it’s no time to trust the VIX. If anything, the possibility of a stock market crash now is higher. This index measures the level of fear, which is why it is often referred to as the “fear index.” In crude terms, right now, the index says investors are the least afraid they have been since 2007. Technicalities aside, does this make sense? From 1990 to 2015, the index has exceeded the 40 mark (see chart below) only five times. It hit 60 in October 1998, when the Russian markets crashed. It hit 58 in September 2001 after the 9/11 attacks. It hit 59 in October 2008, as the sub-prime crisis reared its ugly head in full. The VIX appears accurate at first glance, except there’s one important problem. Market risk seems to have vanished into nothingness. By all means, the volatility index suggests that we invest and be merry, because it seems to ignore obvious problems. The first of these is clear in the grandiose announcement: volatility is at the lowest level since (wait for it) 2007! Rather than cheering, that is major cause for concern. The year 2007 was when the sub-prime implosion started to affect the markets. It wasn’t until September 2008 that the general public got a taste. Moreover, the VIX optimism is highly unrealistic, given the inflated stock valuations on every front. Investors want to celebrate. Advisors are telling clients that “buy and hold” is the best strategy. But it’s far from the best advice. The best explanation for the low-volatility VIX would appear to be just the calm before the storm. Nouriel Roubini, the New York University (NYU) finance professor who predicted the 2008 financial crash and the Great Recession recently issued a warning. Unlike the VIX index, Roubini doesn’t see any “calm” in the markets. Rather, he believes that a financial storm is brewing and could hit Wall Street hard in 2017. The confusing results of Trump’s foreign and economic policies have bamboozled the markets. Nobody seems to know which side is up. Thus, while the VIX index might be showing low volatility, the sensation on the market floor—especially internationally—is one of high risk. An economic miscalculation from the White House affects the whole world. America, after all, remains the world’s biggest economy. Roubini and Dalio have been proven right before. You can choose to ignore them, but then a more familiar name in the stock market game comes up with similar warnings. Billionaire and investment guru Warren Buffett issued his warnings a few months ago. He said many stocks are overvalued. Buffett’s philosophy has always been to buy when others show fear. Ergo, this seems to be no time to be buying. Investors and the markets are showing the kind of boldness that borders on the irresponsible. It’s what former Fed chair Alan Greenspan described as “irrational exuberance” in a famous speech from 1995. The stock market forecast for the next three months warrants far more caution. Rather than being bullish, the market atmosphere now should urge you to pay attention to the financial experts, who have seen a thing or two. That said, there are specific problem areas to consider. After a record week, Wall Street continues to be buoyed by technology. 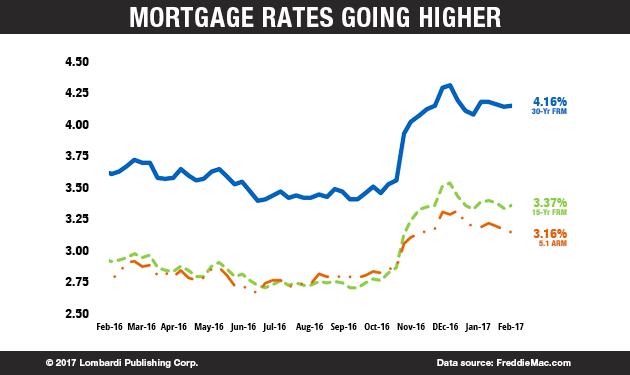 The mortgage industry is also making an eerie comeback in the news. Both technology and mortgages, as you might well remember, were behind two of the biggest market crashes of the last 20 years. 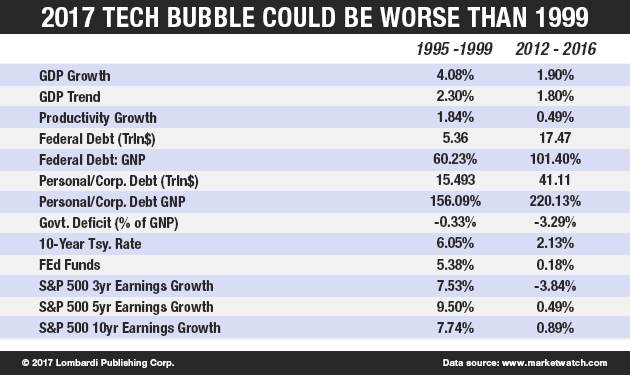 Tech stocks gave the world the tech bubble, which burst in 2000. The mortgage industry—especially in its sub-prime variant—gave us the collapse of Lehman Brothers and the financial crash of 2009. As the technology sector pulls the stock market up, Apple Inc. (NASDAQ:AAPL) continues to set records, keeping the NASDAQ at the forefront. The one stock that should trigger several bell warnings is Home Capital Group Inc (TSE:HCG). American investors might not be too familiar with HCG, but it is a mortgage lender whose stock gained more than 29% after the company announced that an independent third party had shown interest in buying up to 1.5 billion of its mortgage assets. All of this might sound favorable, but it also has a chilling similarity to what happened with the sub-prime mortgage lenders in the mortgage boom years leading to the 2008 financial crisis. HCG might be trading and operating in Canada but, if the sub-prime mortgage crisis showed us anything, it’s that markets are connected and financial crises are contagious. Canada has been experiencing a notorious housing price bubble lately. The United States is experiencing another housing bubble of its own. The North American real estate market could be the target of a black swan event that would cause another major financial crash. As for the stock market, there are many recent entrants with unsustainable valuations. The one that keeps coming up as having a high blow-up potential is Snap Inc (NYSE:SNAP). Snap, after all, is an app for messages that disappear. That’s really it. Snap has not developed a cure for cancer or re-invented the Internet. Its best hope might be for Facebook Inc (NASDAQ:FB) to swallow it up at this point. Snap remains afloat, but it’s teetering. A Snap collapse would break that VIX low-volatility delusion. That’s when the experienced investors will start to see the light, pulling out from the markets and triggering the next major financial collapse. Analysts have cited a recent batch of quarterly results to account for the overall impression of serenity on Wall Street. That serenity is a bubble. The GDP growth figures alone should cause alarm. Too many investors have chosen to wear their blinders, thus they do not seem to care about anything. That’s why volatility seems absent from the market and why a stock market bubble is inflating. Volatility is so low that there is no longer any real movement in one direction or the other. That’s why the markets have reached such a dangerous point. The general economic and political conditions urge for caution. The world is wrought with risk, coming from many directions. President Trump is fighting fires on all fronts and the U.S. economic outlook in 2017 is all but certain—or rosy. The problem is that the stock market predictions for 2017 were based on a rather different style of Trump presidency. The stock market outlook was predicated on Trump avoiding international crises at all costs. Trump was supposed to focus on improving the U.S. economic outlook in 2017. Instead, since his first weeks in the White House, Trump has pursued an odd agenda, which is anything but concerned with economic outlook. The markets have rallied because of President Trump’s promised tax cuts. Indeed, Trump has unveiled an aggressive tax plan that would reduce corporate and personal income taxes from 35% to 15%. Trump has made this bold proposal to Congress without clearly identifying how such tax breaks might be compensated. That should have raised taxpayers and investors’ concerns. It seems like a proposal for disaster. Then there is the problem of geopolitical instability. The U.S. stock market has continued its rally, even in the face of risky events such as Brexit. It was especially bullish about Trump. However, France has thrown a bit of a wrench in the works. Trump’s victory in November 2016 was supposed to have prompted a domino effect of populist political victories in Europe as well. So far, that has not happened. America and Europe are moving in opposite directions; thus, they could collide. All the market predictions for 2017 will have to be revised, starting with the U.S. dollar itself. The dollar was supposed to have reached parity with the euro by now. Instead, the euro has gained as the mainstream and pro-European Union (EU) parties have been winning election after election. The lower dollar and the fact its course has been the opposite of what was expected should have caused volatility to rise. That’s because Trump was going to reduce the impact of trade and globalization on the U.S., economic outlook. Instead, U.S. company earnings have become even more dependent on exports. The dollar plummeted shortly after the presidential election. A cheaper currency has resulted in higher export profits. Yet, Trump has been threatening tariffs on imports. It’s not clear if or when he will intervene. But, when it happens, European and Asian importers of American products will retaliate, hurting American companies in the process. The contradiction of Trump’s politics so far into his administration, therefore, should have raised the volatility index. But, the ultimate indicator of contradiction and volatility should be visible to all. The wave of optimism in the financial markets contrasts sharply with the real economy. On the one hand, companies are reporting a mountain of profits. The S&P giants, tech unicorns, and the major investment funds are rolling in the cash. But, certainly, the average worker is not sharing in this wealth. Meanwhile, the United States relies on trust. The rest of the world chooses to give Washington and Wall Street a combination of economic and political confidence, which helps preserve America’s world-leading status. But that trust is eroding. Should it finally come to nothing, all the financial, economic, and military house of cards that the U.S. has woven since 1945 will cause the entire global system to collapse. It would be wise for Wall Street operators to get some insurance against financial turmoil. Volatility, despite the current state of the VIX index, remains. It’s there and it’s being suppressed. The more that volatility is suppressed, the more it explodes when the markets finally wake up to the facts. 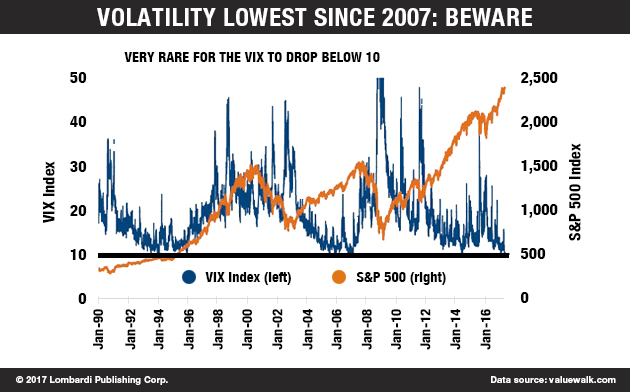 The last time the VIX dropped below 10 points was 2007, and it is well known what happened next. Volatility may simply have become the latest victim of the speculation and irrational exuberance.